I completed all the stitching on this work before I happened to glance at it upside down and realize it might hang the other direction. Now I am torn. It feels to me like it says different things depending on it’s orientation. With the earth below, rabbit is climbing up and out, into the great beyond full of unknown potentials. 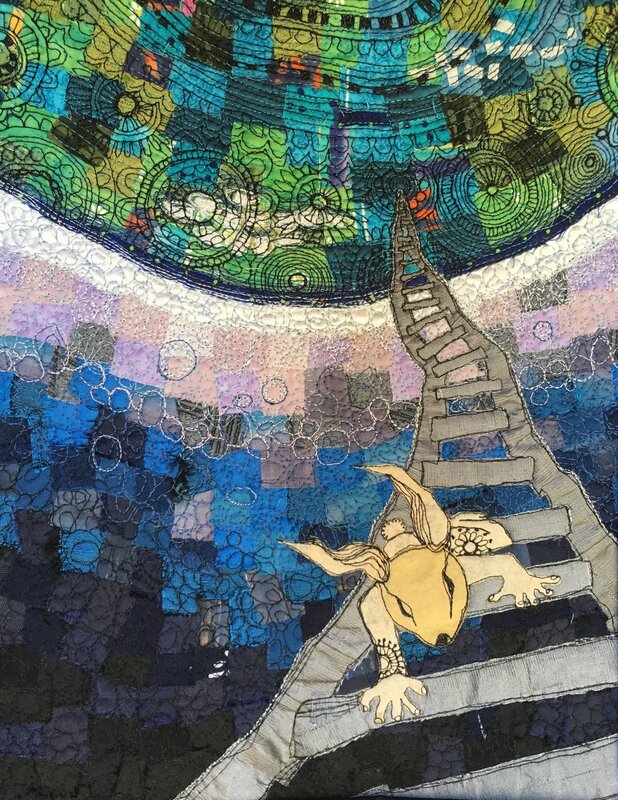 With the earth above, rabbit might be climbing away from the formidable chaos of earthly life toward some intimate safety where the viewer resides. Ok, I may be over analyzing, but I am excited by how much the feeling shifts for me when I simply flip the quilt around. Such a literal reminder to routinely check how my emotional positioning affects my perspective of a given situation.